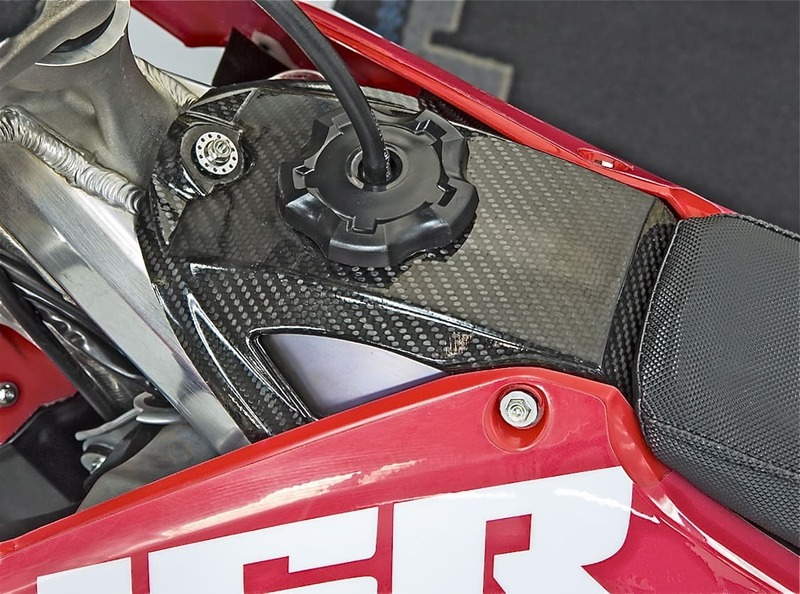 Made by hand at JGR’s NASCAR Cup facility and constructed out of 100% multi-layer carbon fiber, the JGRMX Honda carbon fiber fuel tank cover is the ultimate piece of works motocross coolness. 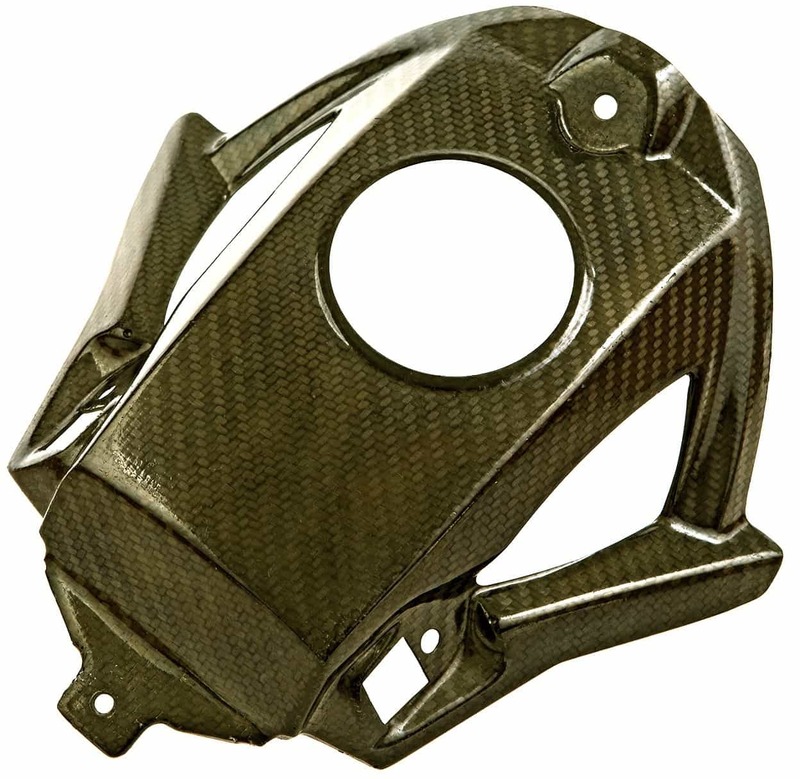 This part fits on the 2017-2018-2019 Honda CRF450s and the 2018-2019 CRF250s. The JGRMX carbon fiber fuel tank cover replaces the flimsy OEM/stock plastic cover (unlike other covers on the market, which merely sit on top of the stock plastic piece). At only 1.76 ounces, the JGRMX carbon fiber fuel tank cover is nearly an ounce lighter than stock.